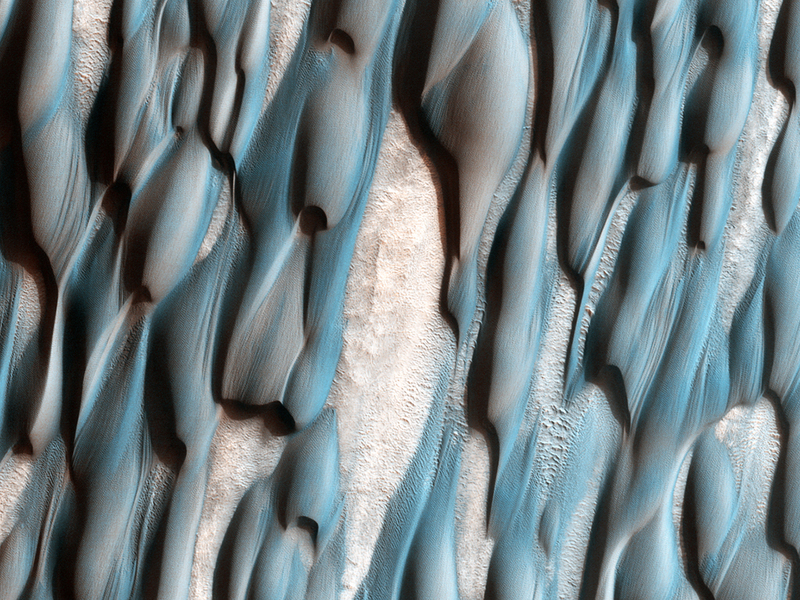 This enhanced-color close-up shows an example of dunes in Abalos Undae. The Abalos Undae dune field stretches westward, away from a portion (Abalos Colles) of the ice-rich north polar layered deposits that is separated from the main Planum Boreum dome by two large chasms. These dunes are special because their sands may have been derived from erosion of the Rupes Tenuis unit (the lowest stratigraphic unit in Planum Boreum, beneath the icier layers) during formation of the chasms. Some researchers have argued that these chasms were formed partially by melting of the polar ice. The enhanced color data illuminate differences in composition. 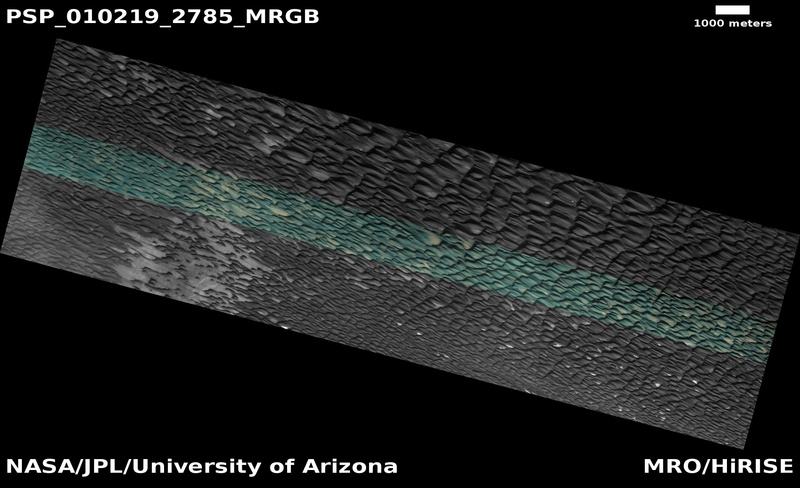 The dunes appear blueish because of their basaltic composition, while the reddish-white areas are probably covered in dust. 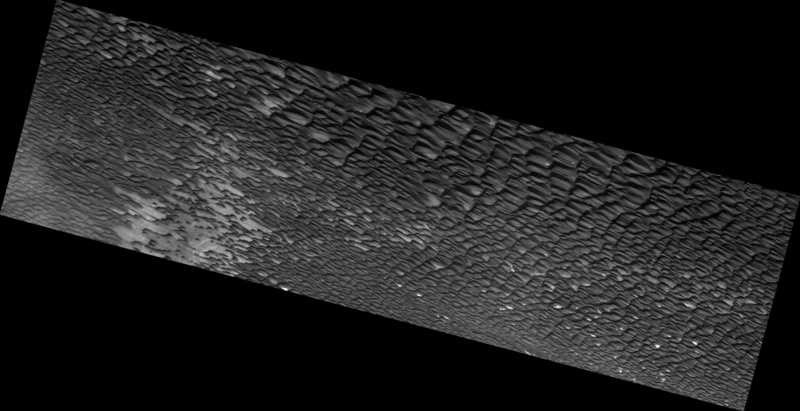 Upon close inspection, tiny ripples and grooves are visible on the surface of the dunes; these features are formed by wind action, as are the dunes themselves. 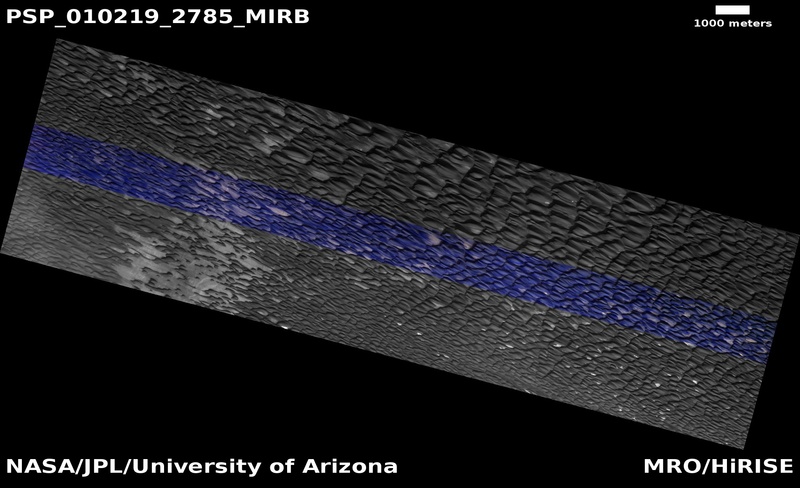 It is possible that the dunes are no longer migrating (the process of dune formation forces dunes to move in the direction of the main winds) and that the tiny ripples are the only active parts of the dunes today.